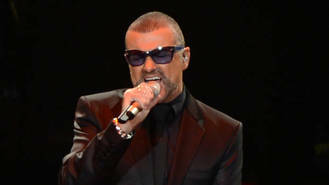 The Careless Whisper hitmaker, 53, was found dead at his home in Oxfordshire, England on Christmas Day (25Dec16), and after extended postmortem examinations determined he had died of natural causes, his body was released to his family earlier this month (Mar17). On Wednesday (29Mar17), mourners including the singer's former Wham! bandmate Andrew Ridgeley and close pal Geri Horner, formerly known as Geri Halliwell, gathered with George's loved ones for the private memorial service at the Chapel of Rest, where the Spice Girls star is reported to have delivered the eulogy. According to the DailyMail.co.uk, he was buried at the nearby Highgate Cemetery, beside his beloved mother Lesley Angold. A statement released by the musician's representative to People.com reads: "We can confirm that the funeral of the singer George Michael took place today. Family and close friends gathered for the small, private ceremony to say goodbye to their beloved son, brother and friend. While details about the service were kept a secret to prevent George's fans from showing up at the cemetery, it appears the late star's boyfriend, Fadi Fawaz, was not invited to the service. He was reportedly notified of the ceremony by a paparazzo earlier in the day, and raced home to prepare to attend. The hairstylist was photographed arriving just before the burial. Fawaz, who had been dating the singer for seven years, previously told The Sun he had been shut out of the funeral plans made by George's sister Melanie Panayiotou. "Everything is being kept quiet...," he told the newspaper. "I don't know anything about the funeral, I really don't know anything. Believe me. It's all so strange."